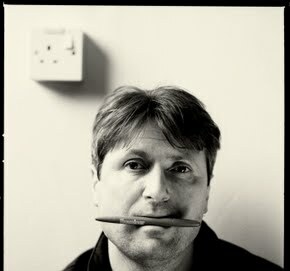 Simon Armitage was born in 1963 and lives in West Yorkshire. He has published ten volumes of poetry and his most recent collections are Tyrannosaurus Rex Versus the Corduroy Kid and Seeing Stars. He has received numerous awards for his poetry including the Sunday Times Author of the Year, one of the first Forward Prizes and a Lannan Award. His most recent book, Seeing Stars, was shortlisted for the T. S. Eliot Prize and was a Poetry Book Society Choice. He writes for radio, television and film, and is the author of four stage plays. His recent dramatisation of The Odyssey, commissioned by the BBC, was broadcast on Radio 4 in 2004 and is available through BBC Worldwide. He received an Ivor Novello Award for his song-lyrics in the Channel 4 film Feltham Sings, which also won a BAFTA. Simon Armitage has taught at the University of Leeds and the University of Iowa's Writers' Workshop, and is currently a senior lecturer at Manchester Metropolitan University. With Robert Crawford he edited The Penguin Anthology of Poetry from Britain and Ireland Since 1945. In 2010 he was awarded the CBE for services to poetry. In 2011 Armitage was appointed Professor of Poetry at the University of Sheffield.